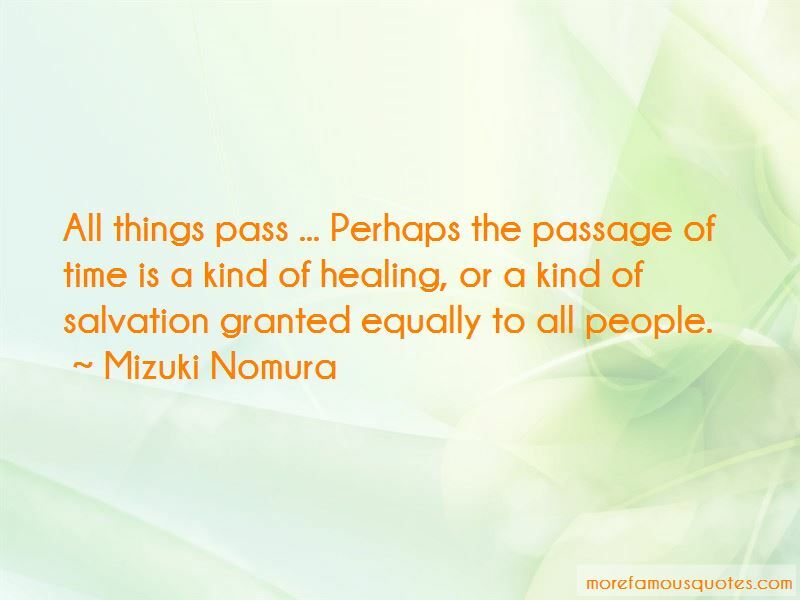 Enjoy the top 24 famous quotes, sayings and quotations by Mizuki Nomura. “Everybody in the world wants to be understood and to have others appreciate them. People from different cultures have different definitions for beauty. Isn't that sad to judge others with our standards ... rather than appreciate them? Even though my angel has forgiven me and rescued me, who on earth will save him, who cannot be allowed into the light of the sun, who has lost his name, who can only hide himself in the world of darkness? “So then do you think it's true that he killed someone? And what about the part where he wishes he could die?" "If it IS true that he killed someone, that's bad." "If I loved him, I had to grant him his last wish. "So I told him what he wanted to hear. "I said, 'No, you're no longer human.'" I hadn't been able to say anything. I couldn't speak, I couldn't move, I couldn't understand a word of what Miu was telling me. "Like he was thanking me. "Then he jumped off the roof. "Osamu Dazai and I killed him. I eat stories instead of bread or rice. I usually eat books, but I love handwriting best. Love stories are sugary, so I like those even better. So you better write me a suuuuper yummy story. I said, Saturday is the first day of my National Center Test." "That's tomorrow, though!" My eyes bugged out. "Yes, ever since antiquity, the day after Friday has been Saturday. “My chronic hiccups suddenly came back so I had to go the hospital." You're such a book girl. 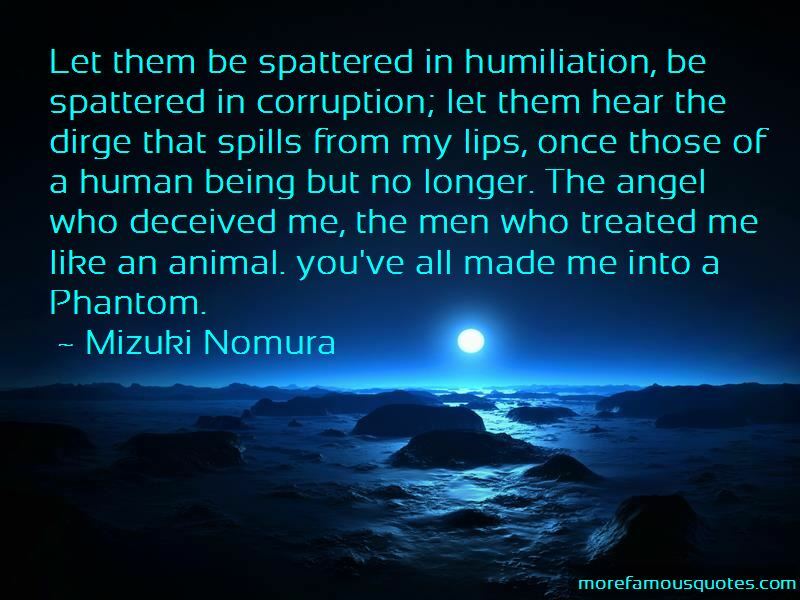 Want to see more pictures of Mizuki Nomura quotes? 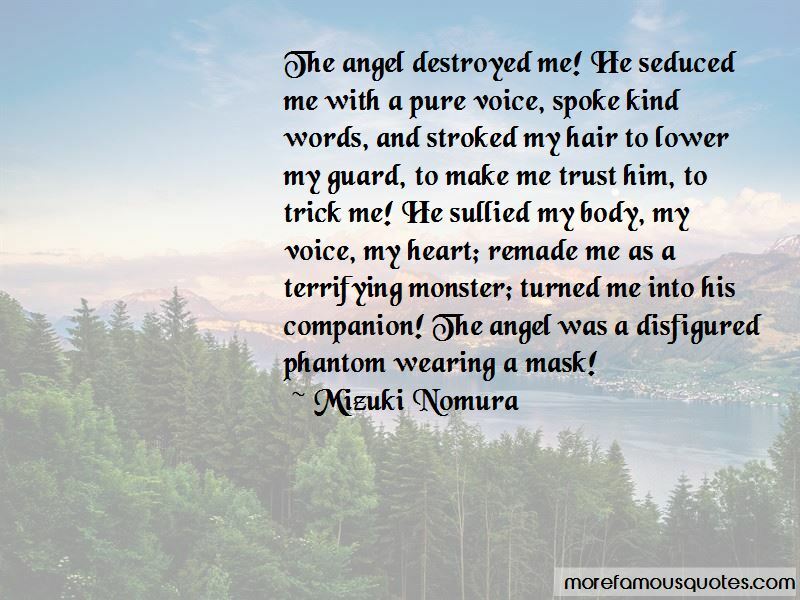 Click on image of Mizuki Nomura quotes to view full size.